Ok so I'm a totally late starter to the whole Lord Of The Rings movies. I only watched 1 & 2 this year. They have been on my to watch list for ages, but because my list is huge. I can never seem to get down it fast enough. 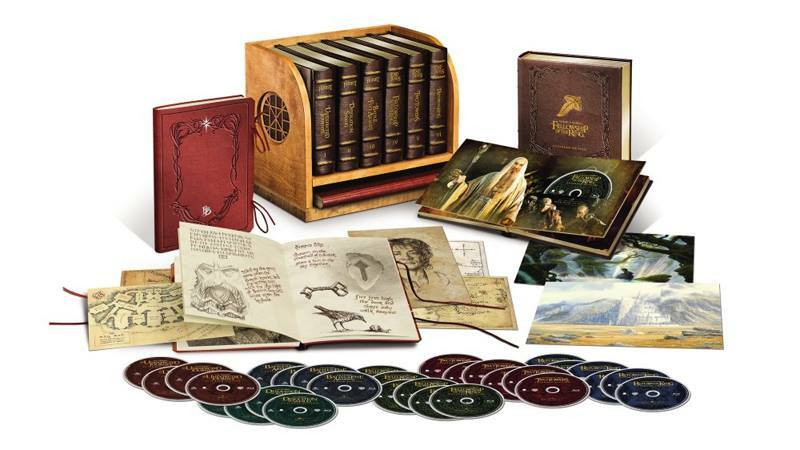 So this is a corker of a new box set, including all the Lord Of The Rings & Hobbit Films all in one. That's literally nearly a weeks worth of films! Fans of Middle-earth will have the opportunity to re-live the entire collection of The Hobbit and The Lord of the Rings films, from Academy Award®-winning filmmaker Peter Jackson1, when the two epic trilogies are released as a single collection on Blu-ray™ and DVD on 31st October from Warner Bros. Home Entertainment (WBHE). Here are my top three epic moments, that I remembered from me watching the films. Gollum speaks in an idiosyncratic manner, often referring to himself in the third person, and frequently talks to himself. When not referring to himself in the 3rd person, he sometimes speaks of himself in the plural as "we", hinting at his split personality. The rare occasions when he actually says "I" are interpreted by Frodo as an indication that Sméagol's better self has the upper hand. Smaug's Eye - Final Scene of The Hobbit: An Unexpected Journey. Smaug is a fictional character and the primary antagonist in J. R. R. Tolkien's 1937 novel The Hobbit. He is a powerful, fearsome dragon who invaded the Dwarf kingdom of Erebor 150 years prior to the events described in the novel. The Battle of the Hornburg, also known as Battle of Helm's Deep, was the first grand-scale battle of the War of the Ring where the Rohirrim under King Theoden defended the Hornburg from Saruman's Army of Uruk-hai. 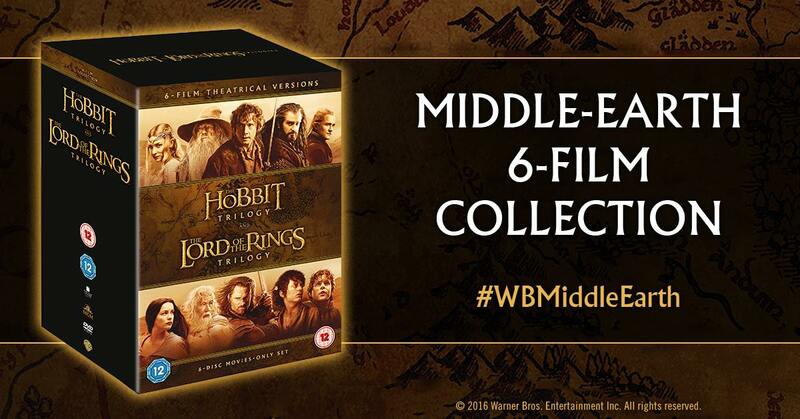 The Middle-earth 6-Film Ultimate Collector’s Edition will be available on 7th November for £299. The Ultimate Collector’s Edition includes all six films on Blu-ray™ disc in their extended edition forms. Bonus content from The Hobbit trilogy theatrical and extended editions will be included on Blu-ray disc. Bonus content from The Lord of the Rings trilogy theatrical and extended editions will be included on DVD disc. The Lord of the Rings Extended Edition Trilogy features more than 2 hours of extended scenes that were carefully selected under the supervision of director Peter Jackson, and more than 33 hours of theatrical and extended bonus content. The Hobbit Extended Edition Trilogy features almost one hour of additional footage, also selected by Jackson (The Hobbit: Battle of the Five Armies extended edition is certificated 12), and more than 34 hours of theatrical and extended bonus content. Additionally, digital copies of all films in their theatrical and extended edition forms will be included for download on Digital HD. The most epic moments from the Middle-Earth 6-Film Collection. You can win your own copy of Middle-Earth 6-Film Collection over my my twitter account. Just a simple " RT to win " if you would like to buy the collection click here to purchase.